I make a jump and the future takes me in its embrace! I rush into the future! It’s a day of steady rushing forwards. We think over carefully what we can do for the future today. And as soon we realize it, we act immediately. Today we can make a revolution in our life. It’s a day for rushing and activeness, creation and showing yourself. Horse is a symbol of sexual energy. Restrain your overwhelming sexual energy like a horseman curbs an obstinate mustang. It’s a day when mass events are successful, revolutions are made and reorganizations are arranged. Achieve your aims, hold meetings, make reforms and enjoy your triumph. It’s a day for a good start on a new place of work – you are sure to have soon progress in your career. In order to accumulate powers it’s recommended to spend some time on an open air where you can get the energy of nature’s elements. It’s important to stand for your principles, be honest and fair, not to spoil your reputation today. One shouldn’t look for advantage with the help of lies, flattery and bootlicking today. Horse is a symbol of our lust (it’s an overwhelming sexual energy). The one who cannot restraint it rushes along to a precipice and the one who can manage it is able to conquer the world. Stretch your right hand down and forwards and the left one down and backwards. Make a lock with your hands between your legs. Make eight high jumps imagining that we have overridden a horse of our desires. Do the exercise once at a time. The practice helps to channel your energy to a «peaceful direction». 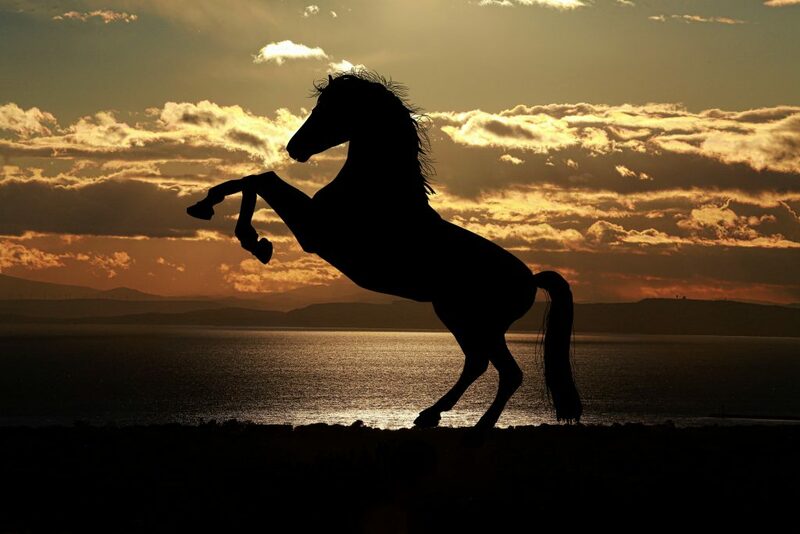 Horse symbolizes passion, dynamic power, quickness of thoughts, indomitableness and longing forward. It’s a well-known symbol of fertility and great power. Winged horse Pegasus means getting from one level to a higher one, it carries Zeus’s lightning. There is a beautiful and proud dark-haired racer standing in front of you. Its eyes are full of wild fire. It is moving its head and shaking its head. It can run faster than wind and has never known a seat or a bridle. It’s a horse of your wild energy, your longings and dreams. You should override your racer in order to get to your dream country. Put your palm on its withers and undoubtedly get down on its back. The wild racer will be kicking up trying to make you fall down like circumstances and difficulties try to make you fall dawn and stop following your way. At last it will rush without looking under its feet – with such a speed that you’ll stop your breath of its fast gallop. Sometimes life events rush in the same manner that we can’t even notice their importance in our life, not telling to manage them. Keep in the seat. Your aim is to curb the wild energy of your racer, make it run where you need it to and not let it put you down and rush away. Now the horse feels your strong hand, your confidence and strength and is ready to submit to you. Now you make a unit with it to rush together to your aim. Go ahead! I get the height of the sky and the power of the earth, the love of fire and the elusiveness of water. Eagle is a symbol of spiritual stark, inspiration, getting freedom of ties, victory, pride, creation, apotheosis, power, regal origin, strength, height and air element. Eagle has always embodied spiritual stark in a person that is able to rush up to the sky. It’s a day for learning Higher laws. We call for the powers of the Height to learn the laws that rule the world. We try to create our life according to these laws. However, there is also a possibility not to be able to keep the height and fall down as if burnt with the Sun. It’s also time for heroic deeds. But you should be ready for it, otherwise an eagle can transform to a scavenger. An important decision or deed that you’ve got ready for can lift you to the next level. Naturally, that every step forwards needs overcoming yourselves. You shouldn’t step back, but only forwards to the end, no matter what problems you face on your way. Otherwise you can fall back. It’s important to start new enterprises, make plans and step forward today. One shouldn’t cure and take treatment, show pride or arrogance today. When we can keep outer balance of our body it’s easier for us to stay calm and cold-blooded, to get of the emotional captivity, think the situation over and see it from the bird’s flight height. Stand still, your legs close together, hands down. Lift your right leg and wind it round your left one. Your right thigh is on your left one and your right foot touches your left calf with its wrist. Wind your right hand round your left one and position them in front of your chest with your palms together. Your palms in such a position look like an eagle’s beak. Stay in this pose for about 20 seconds – to one and a half minutes but without feeling of tension. Repeat the exercise for the left leg. This practice helps you to find balance, both the outer and the inner one. 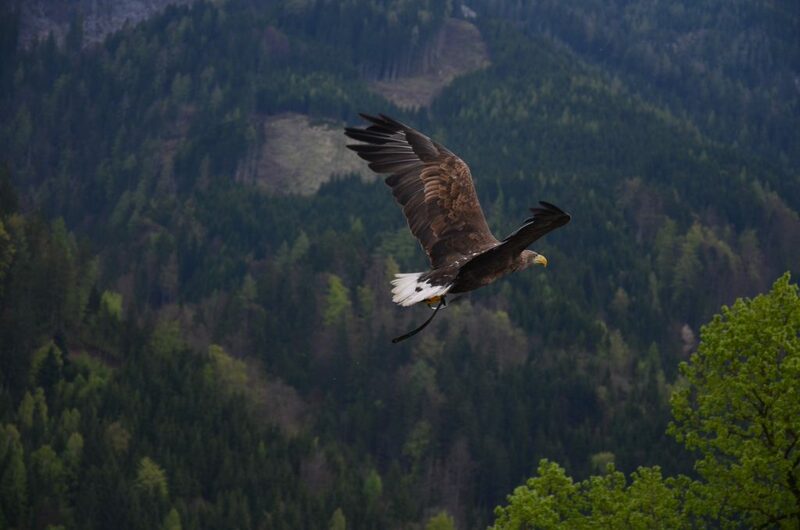 Eagle is a symbol of spiritual inspiration, a fly above the world of reality, and of realizing higher laws of life. It’s a day of realizing our spiritual way, of making serious decisions, a day, when we can get to the new spiritual level, get rid of all the doubts and fears and start active actions. An eagle is opening its wings and starting its flight up to the sky. You get energy for performing new great deals with the power and sweep of eagle’s wings. 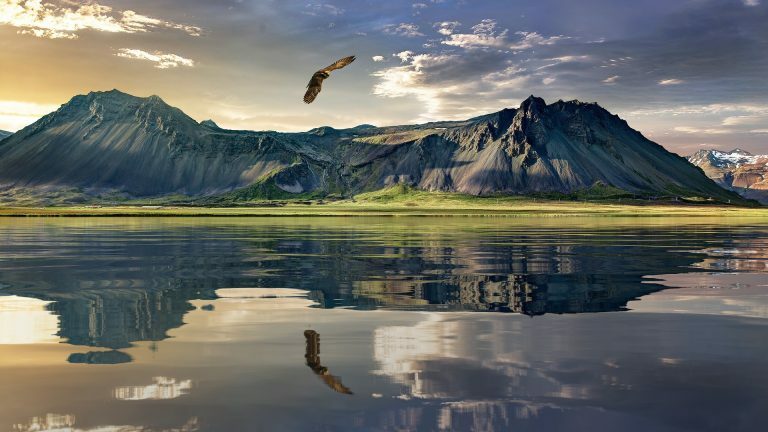 There is eagle’s strength in your heart, there is eagle’s pride in your mind, you are getting the power over the life flows and rushing up to the height on them. However, achieving every aim needs overcoming some difficulties. You meet cold northern winds but keep on flying. Hot southern whirlpools want to turn you around but you see your aim clearly and keep on following your way. You see an easy prey but are not following a temptation and are getting higher and higher. At last you are getting to the top, sitting down on a glittering in sunlight ice crystal, looking at the world below with your eagle’s eye and feel some new quality, new energy and readiness for new flights. You are calm and proud, full of power over your destiny. I realize what is the most important in my life and my dream inspires me! I realize the main thing! This is the day when you should choose what is the most important for you; it’s the day of concentration on the main aim. 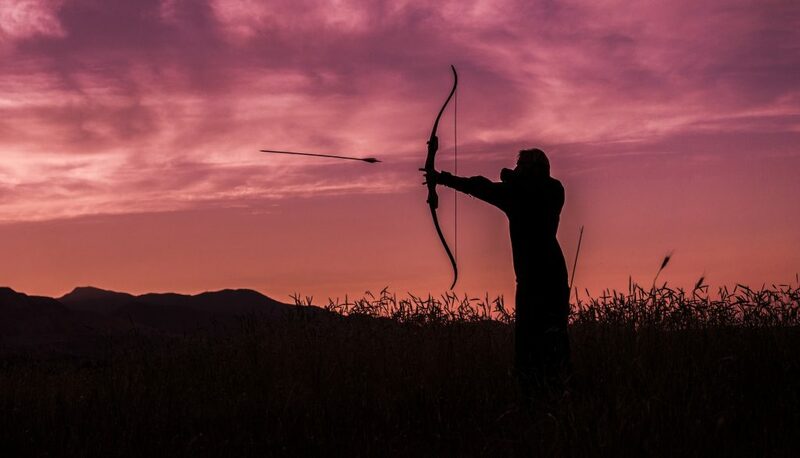 We choose the aim and trying the shortest way, we fly towards just like an arrow shot from a big bow by a good archer. Today we put the main aim of the month and do our best to realize it, trying not to divert our attention to routine. Show your emotions and senses – this is appropriate today, and you’ll be understood correctly as you’re right while trying to achieve your aim. Stand on your ideas and views, defend other people. Knowledge needed and men needed come this day. Be attentive to everything happening in your life this day but don’t notice trifles. Close your eyes for a moment to separate the needs of the rest and imagine your life as a long flowered field. Find your aim among grasses, sun rays, clouds, birds and butterflies. Let your aim be accurate and clear. Then ask yourself «Do the things I see relate to my aim?» You need them if you still feel the aim, if not – then they are needless, let them leave you. This is the day for creation when you also can acquire knowledge easily. It’s important on this day to focus on achieving the main aim and to defend others. You shouldn’t hurry, neglect your duties or change your aim today. When you imagine your wish clearly you can easily aim your energy and power sources and understand that all difficulties are not more than illusions. Stand up, your feet a little wider than shoulders line. Turn your body right a little. Keep your right hand straight and raise it to shoulders height. Keep your left hand bent and put it to your chest. Fist your hands and imagine that you keep a bow in your right palm and a bow-string in your left one. Put the thumb of your right hand up while imagine your aim. Make a breath and move your left hand aside as if you pull a bow-string. Focus on your aim and then make a sharp exhalation and open both palms, imagining an arrow hitting the target. Take the initial pose. Stay in this position and make three breaths and three exhalations, and on the last exhalation return to the initial pose. Repeat this technique three times to both sides. Then stand straight and take the initial pose. This practice helps to see one’s aim clearly and to concentrate all the attention on achieving same. An arrow shot to aim is a symbol of action that cannot be stopped. An arrow flight symbolizes a way up to the sky. And arrows shot by Eros are the piercing darts of love. An arrow never turns from its way and always shot to aim. You are holding a bow of the present time in your hands and have to find out your aim in it. The aim should be clear, accurate and accessible. Your aim isn’t a dream; it has nothing in common with aspiration or desire. Put an arrow of the future on the bow string of the present and draw your bow. When you do this you are holding all the experience of your past in your hands. Use it to shot the arrow to the aimed future exactly, powerfully and with no doubts. All your desire to achieve your aim is in the arrow that lies in your fingers. You feel it fill up with your energy and your confidence in victory. The arrow gets warm in your palm and is ready to unite wisdom of the past, strength of the present and your belief in the future. You’re ready to shot the arrow to your desired future.